Porto is a fascinating, traditional Portuguese city that makes for a memorable holiday destination. The city offers a variety of tourist activities, historic monuments, lively nightlife and interesting day tips; all of which are easily in reach when flying into Porto International Airport. This article will provide guidance on the optimum length to stay in Porto and links to detailed holiday information in order to make the most of a stay in this captivating city. How many day and nights in Porto? Porto is perfectly situated to be a stand-out short break or can be extended, with a range of day trips, to be a perfect week-long get away. Visitors on a short break should focus on exploring the city and nearby Vila Nova de Gaia, while longer stays can allow visitors to explore the surrounding northern Portuguese sights. A short getaway will allow tourists to spend a day exploring the historic Porto City Centre and a second within the famed Port producing city of Vila Nova de Gaia, with its stunning riverfront. This itinerary, coupled together with the ease of a well connected airport, which is served by low cost airlines, makes this a viable year round destination. 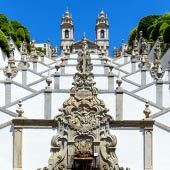 For a suggested 2-day Porto itinerary, please click here. A long weekend, three day break, allows tourists to discover the above sites but also take a further excursion. There are plenty of day trip options, including; a picturesque Douro River cruise, a trip to a fine local beach, historic tour of Guimarães or trip to explore the natural and urban sights of Aveiro. 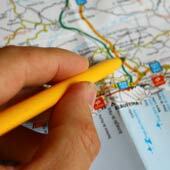 For a suggested 3-day Porto itinerary please click here. Douro River cruises sail deep into the heart of the Port vineyard growing region and provide tourists with beautiful vistas and a relaxing experience. Porto is situated close to a coastline of golden sandy stretches, and it is only a short train ride to the beautiful beaches of Espinho. Guimarães is considered to be the birth place of Portugal and its exceptionally preserved old town, castle and palace are a must for visitors wanting to uncover Portugal’s history. Lastly, Aveiro, perched on a peaceful lagoon boasts flamboyant architecture, and design that is unlike any other Portuguese city. 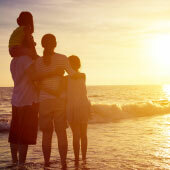 For more detail on these day trips please click here. 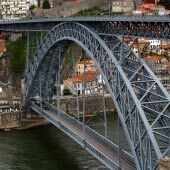 Porto is also a perfect base for a longer holiday spent exploring the beautiful surrounding region, due to its excellent transport links and excellent tourist amenities. 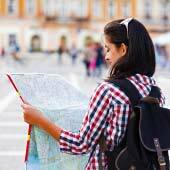 Beyond the city, there are wide ranging day trip options for all tastes and ages. 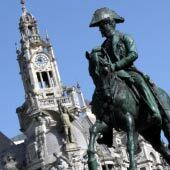 Further excursions include; the religious town of Braga, the charming canal town of Aveiro or University City of Coimbra. 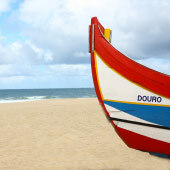 For those wishing a more relaxing holiday, it is also possible to stay near Aveiro at the stunning beaches of Costa Nova or Espinho. Porto is one of the most fascinating cities in Western Europe and is an enjoyable alternative holiday destination. 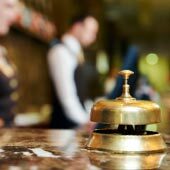 Tourists can escape the crowds, dine in style and stay in luxury for significantly less than other more well known European destinations. 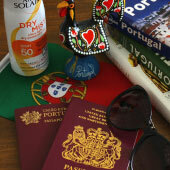 For a guide to a week in Porto please click here. 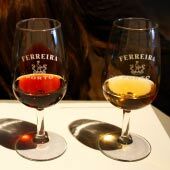 When planning to visit Port as part of a tour of Portugal, it is recommended to allow at least two days exploring the city and Vila Nova de Gaia. Those just passing through will not do justice to this fascinating and captivating city.